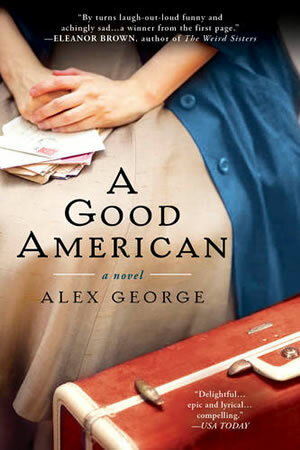 “I just finished the galley A Good American by Alex George. It is one of the best books I have read this year. A warm, touching, sometimes sad and often funny story of three generations of the Meisenheimer family of Beatrice, Missouri. The narrator, James Meisenheimer, grows from child to man as he relates the tale of his family… his voice is always sympathetic to the shortcomings within his family and void of bitterness in the face of adversity. Many colorful characters are the icing on the cake in this delicious slice of early twentieth century life in the American Midwest. “The narrator of A Good American says, at the end of the story, ‘I was the only one who had nowhere to look but back.’ And, what a gift to readers of this fine book that he did!